This Website is not intended for use by minors. Parents and guardians should closely monitor the Internet activities of their children and we encourage such adult supervision and active participation which support a positive Internet learning experience. When you visit this Website, our servers automatically collect certain web site usage information. Website usage information is non-identifying information that describes how our visitors use and navigate this Web Site, and it includes the number and frequency of visitors to each web page and the length of their stays. We also collect the information automatically sent to us by your browsers, such as browser type, referrer data that identifies the web page visited prior and subsequent to visiting this Web Site, and IP address. An IP address is a number that is automatically assigned to your computer whenever you access the Internet, which web servers use to identify where to send the information your computer requests. We may use IP addresses for a number of purposes, such as system administration, to report aggregate information to our business partners or to audit the use of this Web Site. We also may determine the technology available through your browser in order to serve you the most appropriate version of a web page. We may disclose non-identifying user information, such as aggregated statistics, to third parties for a variety of purposes, including describing our services, marketing, and providing a better user experience on this Website. We collect personally identifiable information about you. For example, we may collect your name, street address, e-mail address, telephone number and date of birth when you register or make a purchase at this Website. You may also provide us with highly sensitive personal information through your profile or other services on the Website, including, but not limited to, where you work, pictures, relationships, and political and religious views. 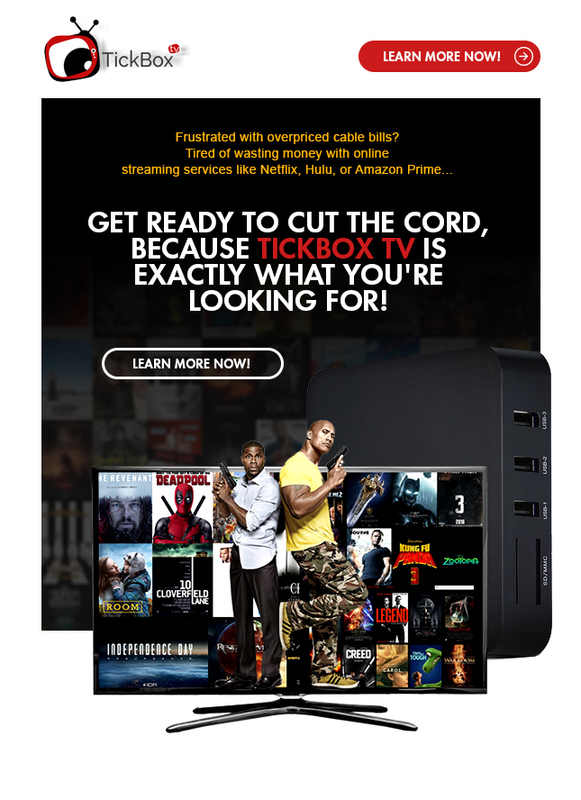 Additionally, we collect information about your use of Tickbox TV services, including, but not limited, your activity on Tickbox TV™, your viewing of movies and tv shows, your ratings, and reviews of movies and tv shows, payment history, and communications. We also collect information that you provide us in response to questions we ask of you while visiting this Website regarding interests you may have about certain products and services offered by some of our advertising partners. This information is collected when you provide it to us, even when you complete some, but not all, of the registration process. Furthermore, we may collect personally identifiable information about you through surveys, polls, forums, and other services provided through the Website. We use your non-personally identifiable information that you submit for Website and application design and content improvements and to allow us the opportunity to personalize your experience on the Internet, in particular, your return visits to the Website. Personalizing your Internet experience allows us to present you with offers for products and services that we believe might be of interest to you. We also use this type of information in our analysis of the overall usage of our Website to you and other users. This type of data describes the demographics of users of the Website including each user’s usage and characteristics compiled and reported as a group rather than on an individual basis. To the extent allowable by law, we reserve the right to share none- personally identifiable information collected from you with third parties. Your use of the Website shall be considered your approval to our sharing this non-personally identifiable information to third parties. We use personally identifiable information to provide the social networking services over this Website. 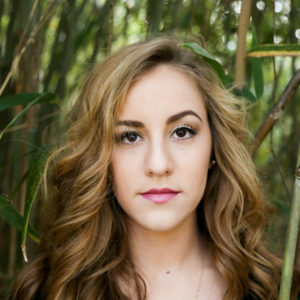 These uses include, but are not limited to, contacting you about the services on our The website, billing you for certain services or providing offers for products and services offered by Tickbox TV™, its affiliates, or trusted third-parties. Tickbox TV™ uses the information it collects on the Website to provide the Website and affiliated services to you and may use such information to enhance the value of the Website. Tickbox TV™ may also use information about you in the aggregate for marketing and promotional purposes, to improve the content of our Website or services, or to notify you about updates to our Web site. We may also allow publicly-shared information to be collected and used by search engines, such as Bing and Google. We may collect publically-shared information in any legally permissible manner. We will also collect your information to provide a better viewing experience by using your information to personalize the services offered to you to reflect your interests, to provide recommendations on movies and tv show that you may enjoy, to track your viewing habits, to provide localized content, and to efficiently respond to your requests and inquiries. Tickbox TV™ may use information about you to contact you. 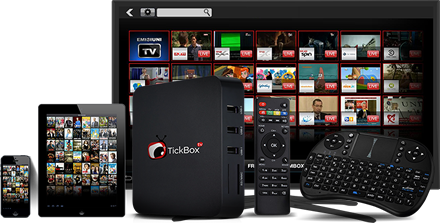 Tickbox TV™ will also contact you to authorize other users to access your networks and information. We send all new users a welcoming email. Established members may also receive information on products, services, events, and publications. We may partner with third-parties to provide services to Users, such as credit card processing or course materials. We share some information collected over the Website – including personally identifiable information – that such third-parties need to provide these services. Such third-parties may only use any information from Tickbox TV™ to provide these third-party services to you. Such third-parties are governed by their own privacy and security policies. We do not sell, share, exchange, rent, or otherwise provide personally identifiable information about our Users to third-parties for their marketing purposes. We may share personally identifiable information about you when (i) we reasonably believe that this Website has been used in connection with any illegal act(s) or commission of a crime, (ii) information about you is the subject of a subpoena issued to us or is required to be disclosed as a matter of law or pursuant to some other order issued by a court of law, (iii) information about you is responsive to a due diligence inquiry made by a prospective purchaser as part of a merger or acquisition of our assets or ownership interests, or (iv) the need for your information is based on public or personal safety concerns; to detect or deter actual or potential fraud, abuse, or another misuse of the Website or against Tickbox TV™ or another third-party; or to protect against potential losses, as determined in our sole discretion. This Website may also utilize cookies, text files that are placed on your computer’s browser which indicate your preferences, which helps us improve the Website and personalize your Internet experience. You may learn more about cookies by visiting www.cookiecentral.com. You may still visit our Website even if you decide that you do not wish to allow cookies; however, certain functionality may be lost if you do not accept cookies. For example, the “remember me” function on the log-in page would not be operable. The advertisements that appear on and third-party sites linked from this Website are not endorsed by us. We make no guarantee regarding the accuracy of the information contained in these third-party advertisements and sites. Responsibility for such ad and site content remains solely with the third party. You may choose to share information with third-party advertisers not associated with the Website. Such sharing through their on-site offers is entirely up to you. The information that you submit to us at this Website is safeguarded by us utilizing industry standard security measures in an effort to protect such data from unauthorized access or disclosure whether online or offline. Please keep in mind that the security of any information transmitted over the Internet cannot be guaranteed and you submit your personal information at your own risk. In the unlikely event that the security of your information is compromised, we will notify you as quickly as is reasonably practicable consistent with the needs of federal or local authorities and law enforcement and following determination of the scope of the security breach and appropriate remedial measures have been initiated to mitigate the damages. You agree and hereby affirmatively consent to receive such security breach notification via email to the address you provide to us at registration. We protect the information that you submit to us online using SSL encryption software. Off-line your information is shared internally only with our employees who have a “need to know” in order to perform their assigned duties. Access to any of your information is prohibited to all others. What choices are available to you regarding our use of your information? Although Tickbox TV™ strives to honor your opt-out request promptly, please allow ten (10) business days to process your request. During such processing time, it is possible that you may continue to receive communications from us. Your personal identifying information is retained by us in our archives for as long as we deem appropriate, which may include indefinitely, showing, in part, compliance with applicable law and having a record of the termination. Your information is not shared with affiliates. Copies of Information; Updating and Correcting Information We Have Collected. You may obtain copies of the information we collect upon by sending a written request to admin@thetickboxtvreview.com. Support can also aid you in updating any information you may require. By using the Website, you consent to have your personal data transferred to and processed in the United States.